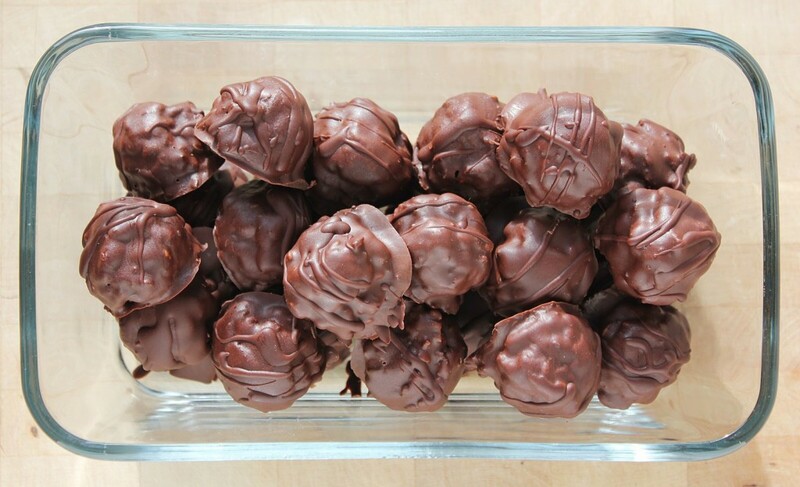 What I really wanted to make for you this week was peanut butter balls. Either a version of the creamy, sweet ones from your childhood, or the rich and perfect ones from The French Laundry cookbook. 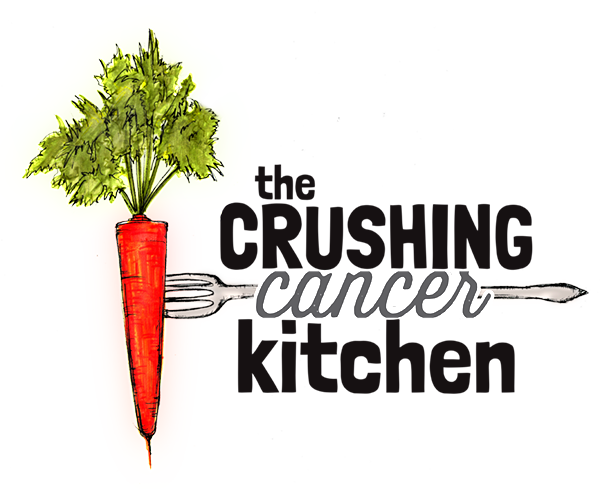 That was my jumping-off idea, and although the recipe I have created is indulgent in many ways, I could include close to zero of the ingredients from these original recipes and still keep it crushing-cancer appropriate. There is still chocolate, which we can all applaud for. Dark chocolate with 70% cacao or higher is a great source of antioxidants and magnesium, and is low in the other stuff, which includes sugar, cocoa butter and possibly other additives. The higher the percentage of cocoa, the lower percentage of other ingredients, which means the darker the chocolate the better, in the health department. Bonus points for using unroasted ‘raw’ chocolate, which will be even higher in antioxidants and enzymes. The amount of sugar is quite small in very dark chocolate, and these days, there are even some brands of chocolate that use ‘better’ sugar. We have a local brand in Vancouver, called Zimt, which is raw and sweetened with coconut sugar, a mineral-rich, low glycemic sugar alternative. It is also fair trade and tastes awesome, making it a great option for this recipe. So besides the chocolate, pretty much everything has changed from the original recipes I spoke of earlier. Not a bad thing, don’t be nervous. Peanut butter has gone from the all the time nut butter to the limited intake nut butter. Regardless of whether they are organic or not, peanuts contain aflatoxins, a toxic fungi that grows on groundnuts. Sad, I know, I love peanut butter everything too. It isn’t hard to avoid though, considering how many different nut and even seed butters are available. Is it too much to bring up making your own, too? Maybe a different post. For this recipe I have used sunflower seed butter (aka sunbutter), a surprisingly tasty, smooth seed butter. I don’t want to say it tastes like peanut butter (it doesn’t) but it’s got its own thing going on and is closer to pb than almond butter. Combined with the coconut butter, it takes on a drier, peanut-y texture. Then the coconut oil makes it melty, in that Thomas Keller recipe style, and gives it some extra healthy fat love. The buckwheat is the crunch. No need for highly processed rice crispies when you can simply add raw buckwheat to create a, dare I say, superior, whole food chomp. Note: when buckwheat falls on the floor, it can’t help but fall pointy side up. Every single piece. That is all. Besides the trace amounts of hopefully coconut sugar in the chocolate coating, the only sweetener in these treats is fresh dates. 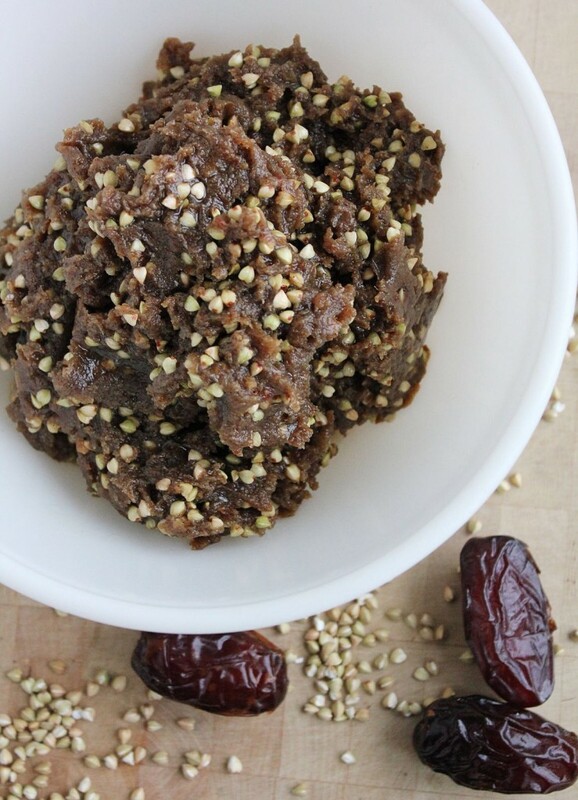 Full of fiber and minerals, dates are a pretty healthy treat on their own, but add the other fats and fiber in this recipe and you have lowered their glycemic index even more, meaning that the cancer cells will not get the all-you-can-eat buffet that the other versions may have been offering. They’ll be disappointed, but you won’t. 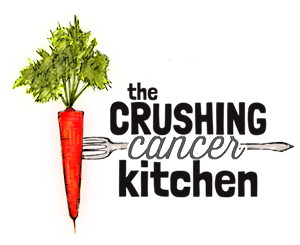 Take these to holiday parties you are invited to, to show your friends and family that eating to starve cancer can still be delicious and seasonally appropriate. 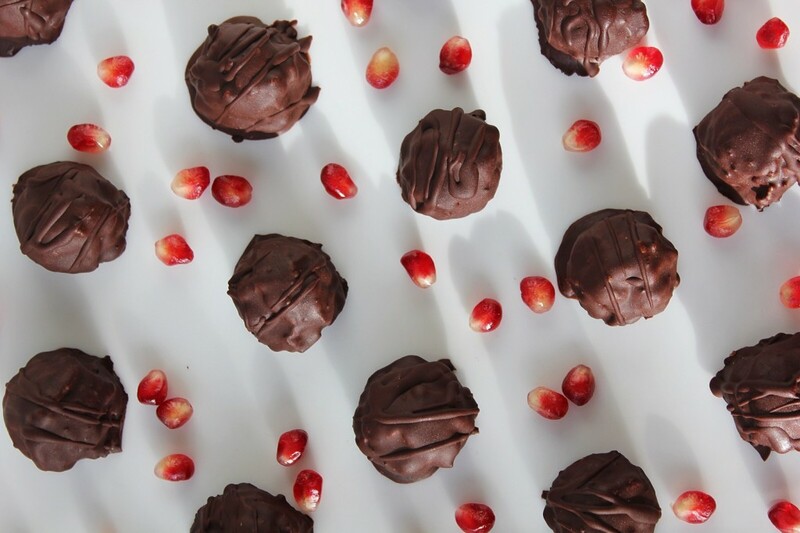 Keep some to store in your freezer so that you can have a treat when you decide to re-gift some of the boxes of scary ingredient chocolates sent to you by well-meaning friends and colleagues. Savor these sunbutter treats and pretend they are bad for you for a few minutes if it helps you get into the holiday spirit. In a food processor, blend together the sunbutter, coconut butter, coconut oil, dates, vanilla and salt until smooth. Transfer contents to a bowl and stir in the buckwheat until evenly distributed. 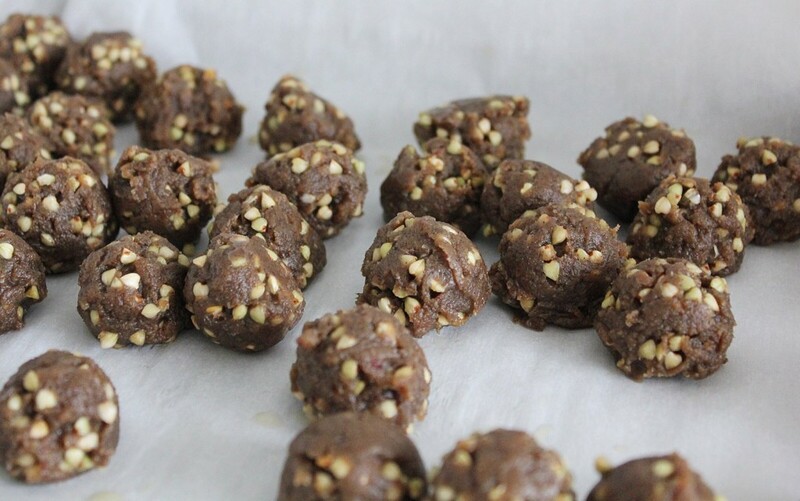 Shape the mixture into balls using a ½ ounce ice cream scoop or a spoon and spread out on a parchment-lined baking sheet or dish that will fit in your fridge. Fill a pot with the an inch or two of water and bring to a simmer. 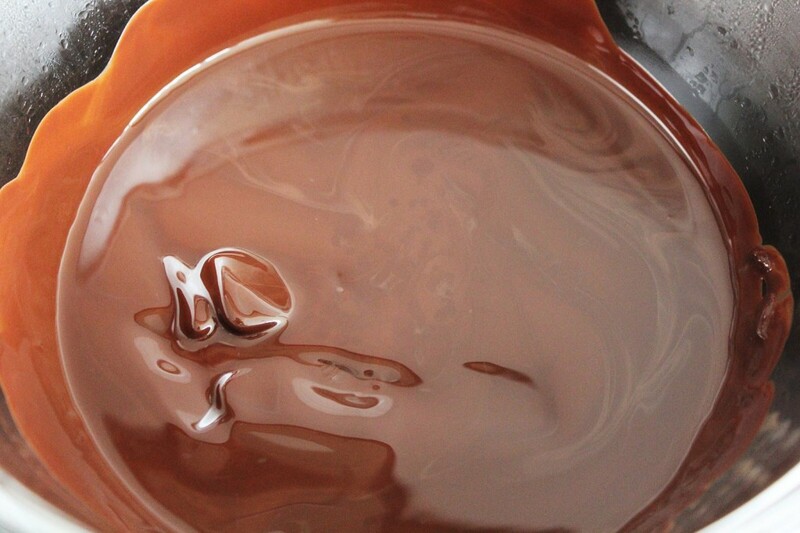 In a heat proof bowl, put the chocolate and coconut oil, and place on top of the pot of simmering water. 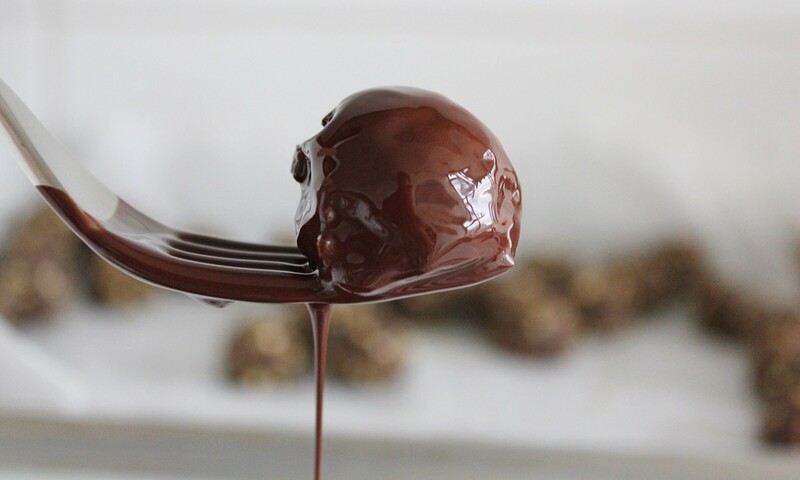 Using a whisk or a spatula, stir the chocolate and oil to blend them together as they melt. 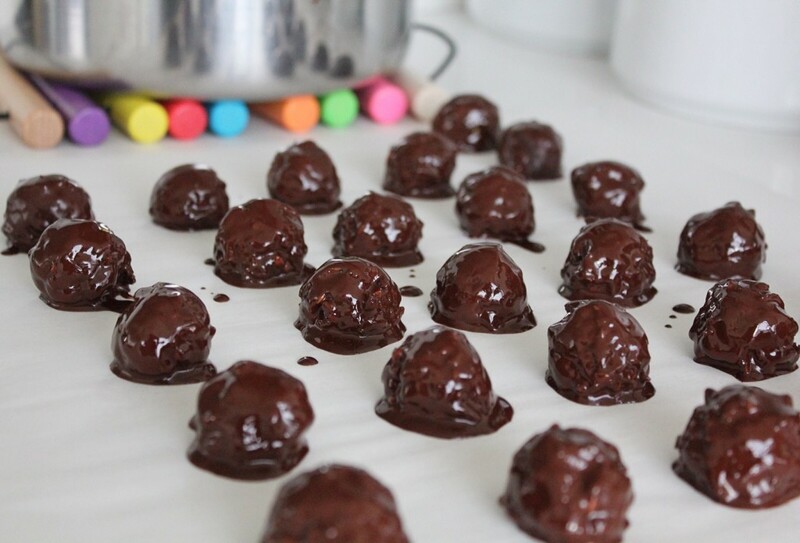 Pull the chilled balls out of the fridge and one a a time, drop into the chocolate, coat well and lift out, using a fork to drain off the excess chocolate and place back on the parchment-lined sheet. Enjoy once cooled or chill in the fridge before transferring to a freezer-safe container. Ha ha, you totally could have just used almond butter (thanks for trusting though). Have you made your own coconut butter yet? And yes, they do much better when cold. I honestly never would have believed that the taste of sunflower butter could be saved. It’s not my favourite flavour on its own, but you are absolutely right: mixed with the coconut butter it totally changes. 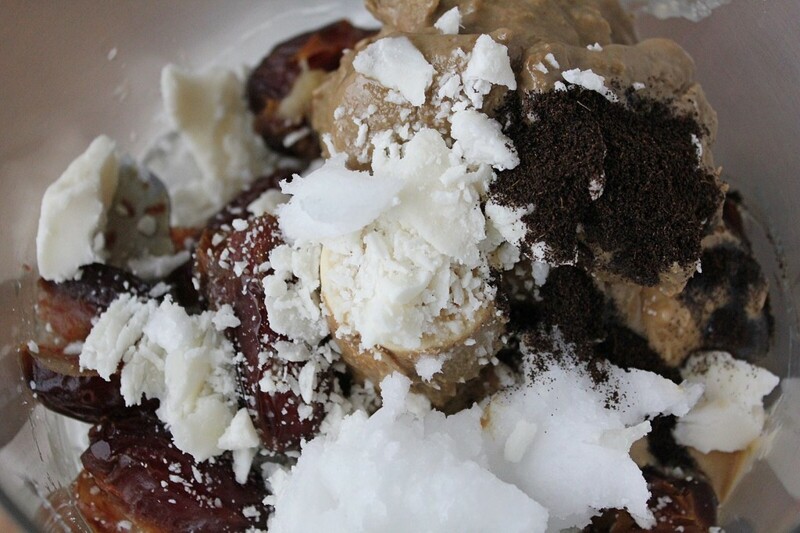 It becomes so much better: and definitely stands up to almond butter and peanut butter. These were a huge hit at a dinner party: no one felt that they were “less than” any of the other (sweeter) desserts. Coconut butter is key! Mine were a touch “wet” at room temperature: I may have put too much oil in the chocolate coating.